Signing up is easy! Simply go to "Becomea Member, Autocross for Free!!!" and follow the posted steps.Make sure you complete step 3 after you complete your membership so that we can note your free event. The NCC Autocross program uses a BMW-centric customized classing structure which pits your BMW or MINI against similar performance models in 3 levels of trim:Showroom, Tuner, and Modified. There is also a simple classing structure for non-BMW competitors. You can check out the full details at nccautocross.com. 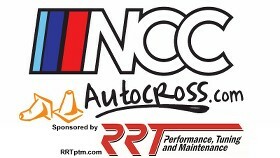 Please contact us at info@nccautocross.com with any questions you might have. We'll be happy to answer your questions. And check out our messageboard to discuss the event with other attendees! See you on the 27th and thank you for autocrossing with us!! *As always,event schedule is subject to change. Last edited by etherpool; 04-02-2013 at 08:24 AM. Last edited by Bob; 07-12-2013 at 07:53 PM. Do you mean July 27? And now successfully registered,phew, had the year in the wrong spot(but worked ok before)!!? Not sure what was up with that. That is correct. All of the details can be found here: http://forum.nccbmwcca.org/showthrea...cross-for-Free!! If he has any questions have him contact us at info@nccautocross.com. Phil, I got Matthew Lipinski to become a member today so that he can autocross on 27 July I will be able to get him registered for the event tomorrow so I need you to hold an AM slot for him please. He is driving a 2013 Charger... He has his member number so I can get him registered in the morning. I checked Matt's registration and he isn't registered for any events. You can have him email me at info@nccautocross.com. The morning sessions are sold out but I will hold a spot for him.